When I hear about the heat wave in good old Blighty and you are enjoying the same weather has we are in Rajasthan, I know there is justice in this world. I feel a lot less guilty as I sit on the veranda outside my room at Castle Bijaipur, accompanied by the early morning birds' friendly tweets and chirps. It must be over 10 days since I last updated. In all I was over a month in the Ladakh, Kashmir Himalayan region and I suppose like everybody who goes there, it will remain with me forever. After Manali I went to Mcleod Ganj which is where the Dalai Llama lives, along with the government in exile of Tibet. This is a subject I don't know enough about, but in the day that I was there and after various visits to museums and the Temple, I think I know enough now to say that whatever the achievements, successes and opportunities that China makes and offers the world, they will never ever be forgiven for their brutal and heartless occupation and decimation of the Tibetan people. I am sure there is another side to the argument, but I haven't been able to find one. It seems that the Chinese have a bully instinct that led them to pick on a weak and peace-loving neighbouring nation so that they could exploit not only the huge mineral reserves in Tibet, but also gain geopolitical territory. Karma, who sang his ancient Tibeten songs at a concert he organised that day. His Mother and Father were sent to prison when he was 12, and he has heard no more from them. He fled over the Himalayas to India with his saviors. He is 40 now. 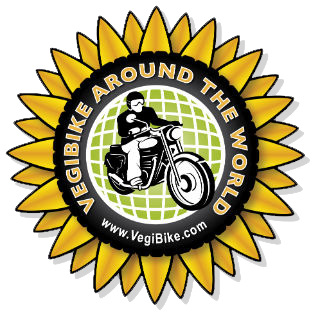 I met a lot of Israelis in this area, and enjoyed a very pleasant ride to Mcleod Ganj with Yoav, who I had met on the road from Manali on his Royal Enfield. During this ride, which involved a few stops for sustenance, because of the huge rain downpours and a naughty smoke (my one and only weakening, and only a puff or 2), I started understanding little more as to why there are so many Israelis here. In fact there are so many that the local Indians think that Israel is a huge country. After three years for men, and two years for women, of national military service, the youth of Israel explodes around the world and takes as much drugs as they can possibly consume, and just go wild as a huge reaction to the incarceration and much hated restrictions of the military. An estimated 60% on leaving the military will take this route, and you have to really question how this can be good for a nation. Maybe this is just one of the costs they have to bear of being surrounded by other nations who hate them. I seem to keep loosing things in Mcleod Ganj, first it was my toolkit off the front of the bike which came off just before getting there, and then I lost my helmet. I had a bit of a row with the hotelier about how on earth it could have disappeared from my room. It was rather futile and just had to lump it, driving down to Dharamsala helmet-less to get a new one on my way to Amritsar. I don't know whether it was coming down from several thousand metres to just a few hundred but I did feel energised as the twisting roads gave way to the dead straight roads of the plains. Batty also enjoyed the lighter challenge. I was looking forward to a change of scene and the Golden Temple in Amritsar was fantastic to behold. It is the religious and cultural capital/heart of the Sikhism and when I went there at nine o'clock in the morning it was teaming already. The Indians have such faith, and it runs through all that they do. 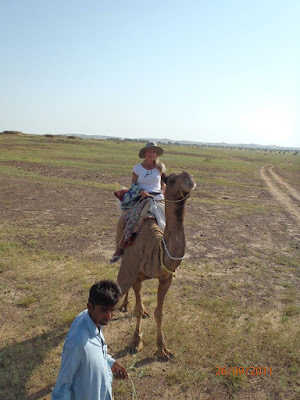 The lush lush plains of the Punjab slowly gave way to the sands of the Rajasthan desert. My water consumption went up and the fantasy of a crisp cold beer at the end of the days riding returned. 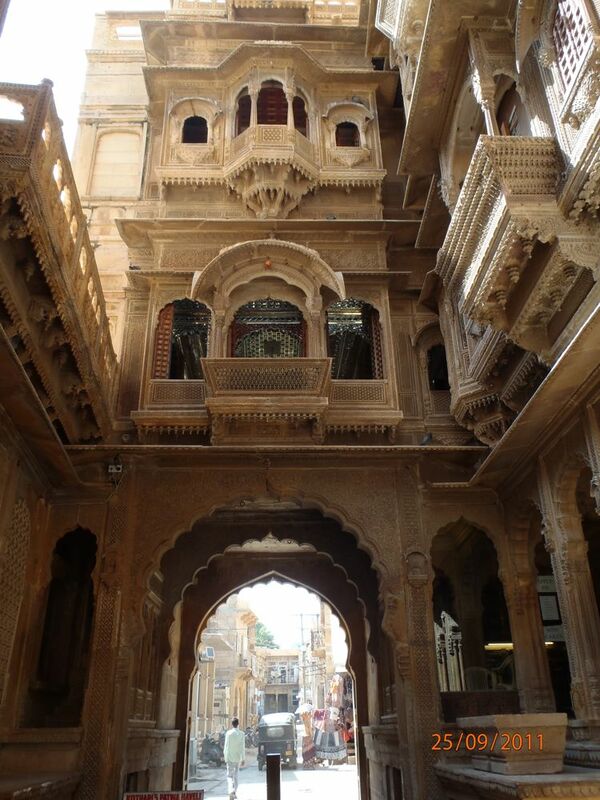 I had heard about the golden city from previous trips to Rajasthan so a visit to Jaiselmer was long booked in. I spent three days there and really enjoyed the beautiful city. I believe it is one of the few castles in the world where much of the population still lives within the castles walls, which gives it a time capture of many long gone centuries. I should have got a hotel in the castle in retrospect, but I was seduced by an early pitch from a guy's hotel just outside the walls. The tourist season is just beginning and there were a few more people about to meet, which makes for more chats...all be they fleeting. On the second day and went off on a camel safari. A massively ambitious description for was a ride on a camel for two hours, which eventually emerged out of the green (rains had just stopped) desert shrub onto a small area of sand dunes. 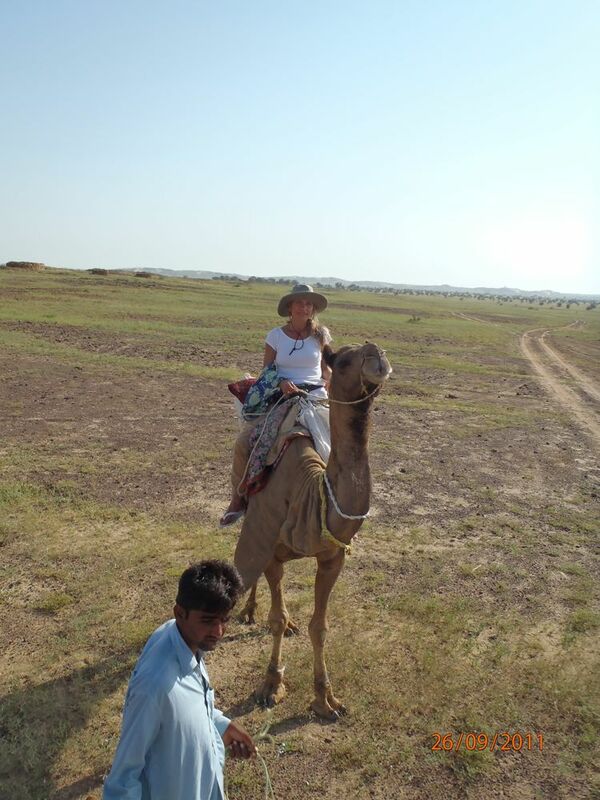 Jonny Walker, as my camel was named, hated me and giggled nervously for the whole trip. I was 30 hands high, astride this fidgeting and newly broken camel and expected to enjoy it. I have not lost my temper much on this trip, but the next day I gave my host who had introduced the 'Safari', piece of my mind. The only pleasure was being accompanied by lovely Fabiana from Argentina. She was riding the altogether lower, calmer and nicer natured Mr Rocket. I tried to kiss and make up with Johnny Walker, but no joy...he gave me a look with a clear meaning. Three nights at Bijaipur (I have been here 3 times now over 10 years and it feels like a home in Rajasthan...introduced by WF) has meant some peace and quiet in amongst the tranquility and very good management of the castle. I have done a lot of work and caught up on a fair amount of admin before heading to Mumbai on Saturday. www.incredibleindiantours.com on one of her amazing sounding trips. She was certainly getting 10 out of 10 from her group. Debbie very kindly has given me a great contact for Nepal, which I appreciate a grt deal.